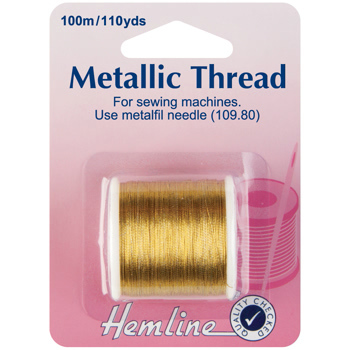 Metallic thread adds sparkle and glitter to machine sewing. Use with Metalfil needle H109.80. 100m/110yds.